Driver's Ed for Adults. It's Not Just For 16 Year Olds! Need your license? In Connecticut, it is REQUIRED that you take an 8-Hour Safe Driving Course, REGARDLESS of age. Driver's ed is no longer just for the 16 year old. You may have waited until you turned 18 or 19 to apply for your license, or perhaps you recently arrived in the U.S. and need to convert your International License to a Connecticut License. No matter the reason, the 8-Hour Safe Driving Course is what you need to fulfill your State Requirements, and prepare to pass your tests. Adults that are applying for their driver’s license in Connecticut for the first time must begin by obtaining a Learner’s Permit. After passing the permit test, you must hold your permit for 90 days. During this time, you are allowed to drive with any person that has had their license for 4 years with no suspensions as your passenger/trainer, or with a driving school. Once you have held your permit for 90 days, you must take the driving test at the DMV. Most Adult Students choose to take the 8 Hour Safe Driving Course, which is the minimum state requirement for a new driver, regardless of age. Every new driver should consider taking between four and eight hours of Private Driving Lessons. Even if you have some experience behind the wheel, you may not be familiar with Connecticut’s driving laws and roadways. As an adult, you have scheduling conflicts that can make fitting in an 8 Hour Safe Driving Course difficult. At times, it may even seem impossible. Lucky for you, classes are available during the day, evenings, on weekends and on some holidays at The Next Street. Don’t miss work; don’t miss your college classes! Choose a class that fits your schedule, so you don’t have to fit your schedule around your driving school. At most locations, you can finish the 8 Hour Safe Driving Course in only one weekend. The State requires that the class be offered in two days, so it is split up into two four-hour sessions. If four hours is too long to sit and learn about driving, there are also four 2-hour courses available during the week. The Next Street makes it easy to get your license, at any age. 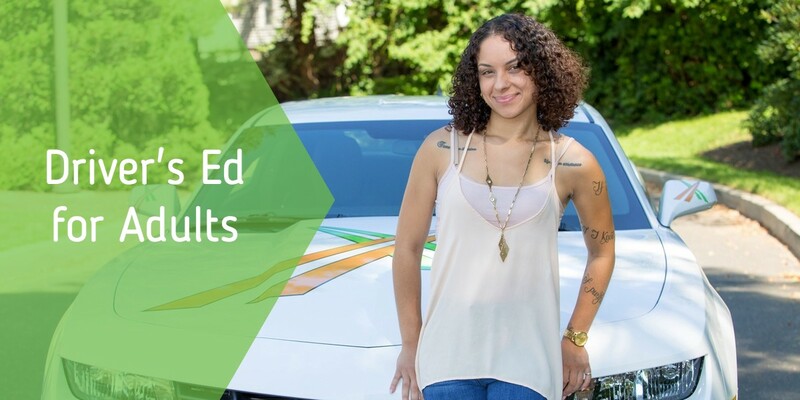 Whether you're an adult new driver, from out-of-state, or new to the country, we have a class for you. It's never too late to get on the road and we make it easy, convenient, and affordable.